ROME –The message: it works! Italy’s campaign to crack down on thefts of its treasures of art and archaeology has borne fruit, and the proof is in the statistics in the year-end report, released January 14 in Rome by General Giovanni Nistri, head of Italy’s crack Carabinieri art squad. Cultural heritage thefts were down by 14.5 percent in 2009 over the previous year. In addition, some 60,000 looted artifacts—from ancient to modern paintings, preciously inlaid Baroque furniture, archaeological artifacts, fine items of church décor and rare books—were recovered during 2009 for a total estimated value of almost $240 million. During the three-year period 2007-09 all crime has decreased, with thefts of cultural heritage dropping from 1,031 in 2008 to 882 in 2009. Two of the most important recovered items—a Roman-era fresco painting hacked out of a wall and a precious black-figure decorated ceremonial Greek pot with handles (krater)—stolen from Italy but turned up recently at the auction house of Christie’s in New York. Most recently the campaign to protect the nation’s cultural heritage has showcased the ongoing trial in Rome of two Americans, former Getty Museum curator Marion True and the elderly Paris-based dealer Robert Hecht. As a result of this highly publicized trial, the Getty Museum, the Boston Museum of Fine Arts and the Cleveland Art Museum have all returned items which the Italians demonstrated were looted from its territory. This three-pronged effort to throttle clandestine looting and sales involved the successful coordination with the Culture Heritage Ministry, the Carabinieri, and prosecutors and magistrates. The advent of the Internet has both helped and hindered the illicit traffic. 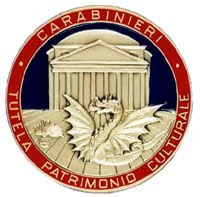 Specialized and general-interest web sites frequently sell looted items, but at the same time the Carabinieri-created website showing illustrations of stolen artifacts has been a successful tool. An example is the Pompeian fresco which had been stored for decades in a museum warehouse. No one knew when it was removed from storage, but in 1997 it was declared missing, and, thanks to the Internet, was found at Christie’s before it could be stolen. One disappointing setback: a father-so team Lebanese art restorers working in Switzerland, known as the Burki, were implicated with Robert Hecht. Some 500 archaeological items were seized from them but bureaucratic delays with justice officials in Switzerland meant that the statute of limitations ran out, and all the artifacts had to be returned to them. At present, according to the Carabinieri, of the 500 items, only 137 remain in the Burki possession. Archaeological theft is particularly important because by definition the looted items have no provenance certification, as would be required for selling, say, master works by Renaissance artists. For this reason independent experts like Prof. Noah Charney estimate archaeological thefts to amount to about three-quarters of the total. To address this, the Carabinieri now patrol the territory in helicopters and low-flying airplanes, which allow them to see, literally, the clandestine digs that would otherwise be invisible. As a result, on two sites looters were caught red-handed, and four arrests made. Put another way, both supply side and the demand side are under attack. Stolen archaeological items are harder to sell because collectors are frightened, and the more skillful sleuthing means that the number of known clandestine excavations has fallen by a stunning 76% in just one year as a result. Perhaps as a result, the number of counterfeit objects—“and particularly works of modern art,” said General Nistri—seized has risen enormously, by 427 percent in just one year. The problem remains, obviously, and especially in Central Italy (Lazio, Campania Regions), Tuscany and Lombardy. State-owned museums are better protected today than in the past, as the statistics also show. Museum thefts are down by 29% across the board. Relatively few take place in the larger museums, whereas the smaller, city-owned (and hence less protected by high-tech security) museums account for half of all museum thefts. Thefts from private collections, religious institutions of all kinds and historic archives remain a major concern. Church thefts dropped by almost 12% over 2008, but that year had seen a small boom in looting, and thefts from religious institutions of all kinds still account for 44.5% of the total. The relatively large number of archival materials recovered suggests that combatting this type of theft remains a priority. by drugs and weapons trafficking. “I was particularly interested in the story in the December issue on "Stolen Wildlife" by Professor Bergman. The cover headline "The illicit animal trade is surpassed only by drugs and weapons trafficking" caught my attention however, I was curious about the documentation to support the observation. The Department of State CRS Report for Congress, International Illegal Trade in Wildlife: Threats and U.S. Policy, updated August 22, 2008, notes "...at least $5 billion and potentially in excess of $20 billion annually..." It doesn't seem to mention that it is the third most significant category of illegal activity. The US National Central Bureau of Interpol, Department of Justice reports, "The annual dollar value of art and cultural property theft is exceeded only by the trafficking in illicit narcotics and arms." This is broadly considered the case in the law enforcement community. Is there another reliable source of the information in the article? We greatly appreciate your taking the time to send us your comments and are forwarding them to Mr. Bergman and his editors. it is evident that there is some lack of clarity as to the “real picture.” Noah Charney recently commented on that at the ARCA web site after we shared this detail. The point once again provides emphasis on the need for better and more comprehensive data on the frequency of art, artifact and cultural property crime. It would be helpful if local law enforcement agencies in the United States would establish appropriate theft designations under NIBRS (National Incident Based Reporting System) for the theft of art, religious artifacts, cultural property and similar items and that the data be collected at the national level. In Ohio, under the OIBRS system, there is a classification under theft for Art Theft. The opportunity for academic research is evident. The data collected would be most useful as efforts are made to combat this illicit trafficking in cultural property.